Dimensions: 2.5 inch W x 25 yards. 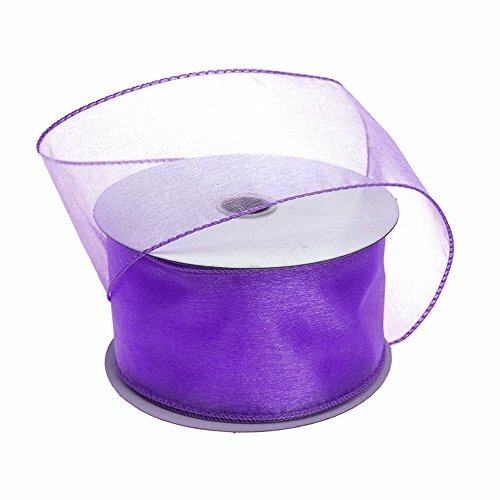 Sheer chiffon ribbon with shiny edge can tame and train the soft Sheerness of organza, allowing you create sturdy bows and provide your projects with an element of structural stability. It's flexible and strong and will support every twist you apply the dreamy ribbon. With this ribbon, your creativity will be your only limit.